The fourth and final category of the 2nd Annual TDR Rando Photo Contest is the Wild Card. This category allows photos from Populaires and Permanents, and is the catch-all category for those brevet photos that do not seem to fit in Randonneur Lifestyle, Obligatory Cow Photo/Nature Shot, or Spirit of Randonneuring. I had a couple of photos that fit perfectly as Wild Cards. I’m not sure what exactly George is doing here (observing, learning to paint, giving pointers? ), but I just find this picture hysterical. 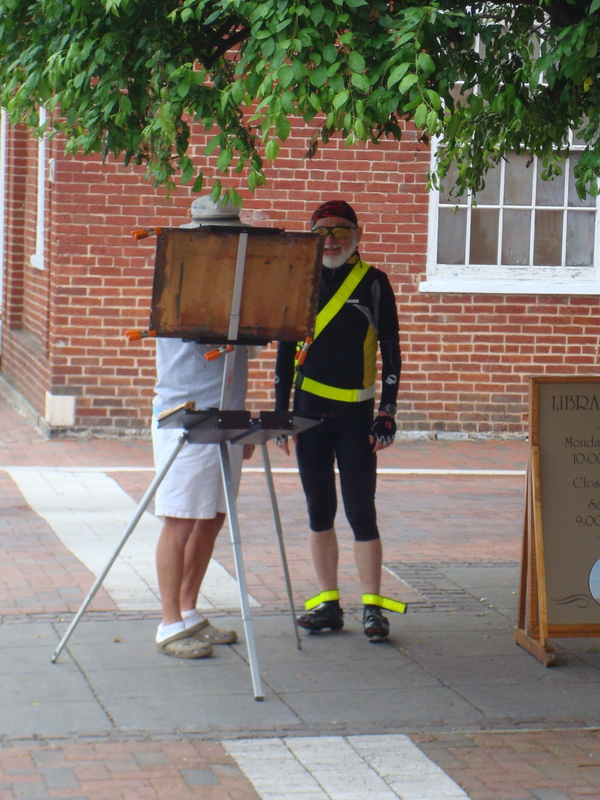 Time out for art on the DC Randonneurs 400K brevet. 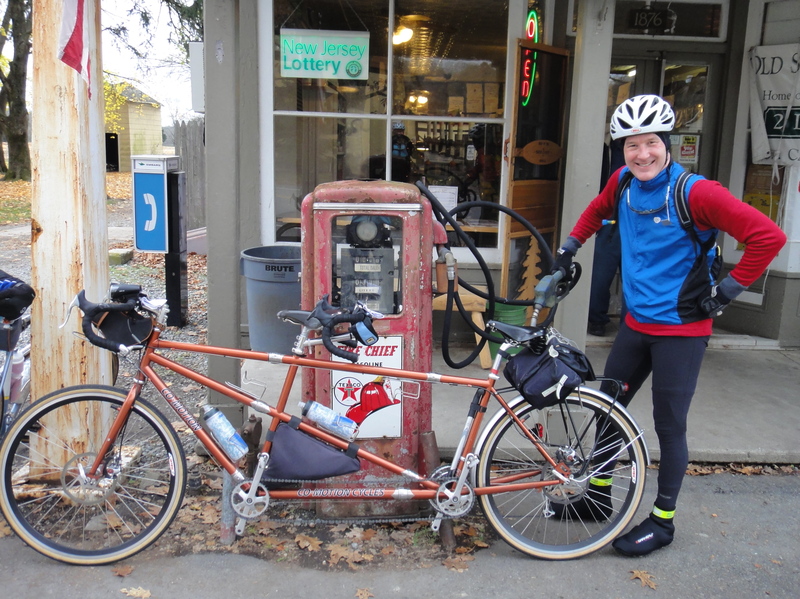 This old gas pump is located at the final control of Tom Rosenbauer’s Stillwater 200K. Felkerino liked it so much he tried to gas up the Co-Motion. Forget about it, Felkerino. That Co-Motion is zero miles per gallon! OK, kids, that does it for my 2010 “submissions.” What do you have in your 2010 Rando Photo Collection? We’d love to see it highlighted in the TDR Rando Photo Album!